A new device currently making its way through the FCC call the Cydle i30 Mobile DTV has been designed to enable smartphones to receive live TV on the go. 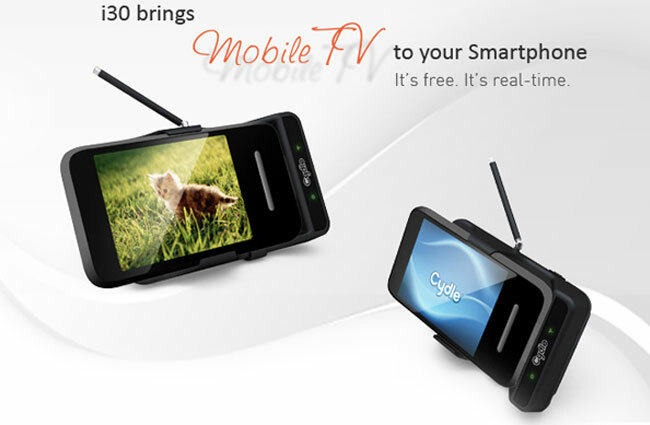 The new device slots on to your smartphone and provides a digital TV antenna to enable your mobile to display live TV. The device currently going through the FCC has been designed specifically for the iPhone and uses its antenna to catch local mobile channel signals and transmit them to the iPhone via WiFi. As well as the external docking antenna to view TV you will also need to install the Cydle ATSC M/H Mobile TV app. The case also includes a rechargeable battery and when connected to the mains will charge both your iPhone and the Cydle i30 internal battery. More information on both is available from the Cydle website.